"After being with Freeborn for almost 20 years, first as an Associate, then Partner and, when family obligations changed, as Senior Counsel – I can say that the Firm’s core values (Integrity, Caring, Effectiveness, Teamwork and Commitment) are as strong now as ever." Ann Zwick is a Senior Counsel in the Real Estate and Environment and Energy Practice Groups. Ann counsels clients on all aspects of environmental law, including compliance matters, permitting, site remediation, due diligence reviews, public hearings, enforcement actions and appeals. Her previous experience as an attorney with the Illinois Environmental Protection Agency has provided her with invaluable knowledge in representing clients before environmental agencies and governmental bodies. Ann represents national and local waste hauling and disposal companies in local siting proceedings, permitting matters, enforcement actions, negotiating and drafting contracts, and purchasing and developing properties. She has also represented power companies on the siting of generating facilities. She also counsels clients on real estate, zoning and land use issues. She has appeared before plan commissions, zoning boards, village boards and city councils. Ann has successfully defended appeals before the Illinois Pollution Control Board and Illinois Appellate Court. 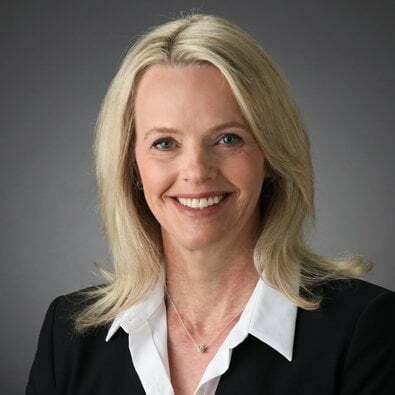 She joined Freeborn in 1994 after having been associated with the Illinois Environmental Protection Agency and McDermott, Will & Emery. While at the Illinois EPA, Ann co-authored legislation establishing the Clean Air Act Permit Program in Illinois. Counseled scrap metal recyclers and refiners on useful products and Superfund Recycling Equity Act defenses to arranger liability under CERCLA. Zoning approvals for wireless communications facilities. Natural gas power plant siting project in the Chicago suburbs. Permitting and zoning approvals for compost facilities. Representation of numerous facilities in the defense of federal and state environmental enforcement actions. Remediation of property under state voluntary cleanup programs. Regulatory compliance counseling and environmental permitting of industrial facilities. Zoning approvals and TIF financing for an industrial development company for the redevelopment of property for business parks. Development approvals for a 1.7 million square foot high-tech office and research campus. Trial counsel for a railroad to recover site remediation costs from a former tenant. Drafting of municipal zoning ordinances. Leasing of shopping center space. Represented an industrial developer in obtaining numerous zoning and development approvals. Represented a media company in obtaining zoning approval for a state-of-the-art Doppler weather radar tower. Represented client in obtaining a Section 404 permit from the U.S. Army Corps of Engineers. Counseled a landfill owner on revised New Source Performance Standards to control landfill gas emissions. Represented a manufacturer in developing OSHA compliance policies with on-site contractors. Represented a landfill owner in litigation and enforcement actions involving landfill gas emissions and alleged disposal of unpermitted waste. The news about Philip L. Comella joining the firm and the launch of Freeborn’s Environmental Law & Toxic Torts Practice Group was reported by media outlets including the Chicago Daily Law Bulletin (subscription required), the Chicago Tribune, Chicago Business Journal, General Counsel News and the Lawdragon website. Freeborn Launches Environmental Law & Toxic Torts Practice Group.